IKM A/S has ventilation heat pumps for low energy buildings and summerhouses. Complete with fully automatic control with modulating capacity according to actual demand. The units can be used for ventilation an heating and can be combined with T12 fresh air unit that will heat supply air. 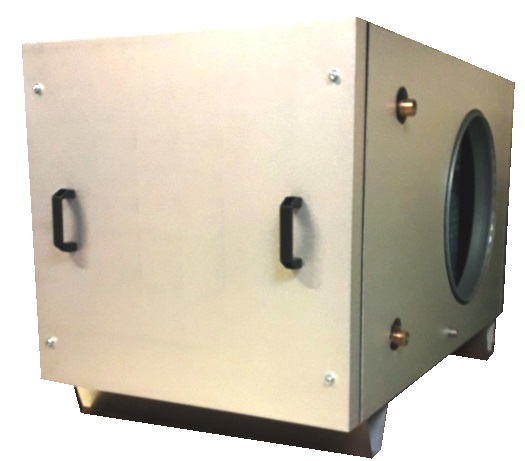 The VL series is used to recover heat from extract air. The recovered energy is lead back to the heating system and/or used to heat hot tap water. The VL heat pump series is delivered complete with controllers and can be delivered with various accessories, such as sensors for CO2, pressure, humidity etc. Depending uppon use and temperature conditions the heatpump may deliver more energy than needed to reheat fresh air, which then can be used for heating etc. Nominal airvolumes from 1500 m3/h to 6000 m3/h.